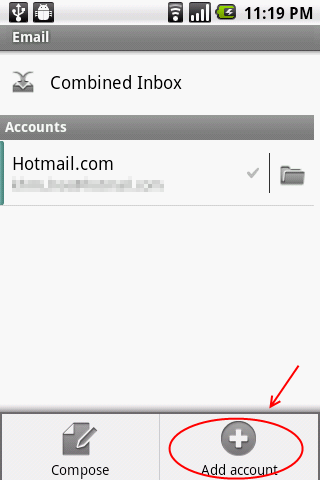 If you want to add your Hotmail account in your Android smart phone, you can use the POP option. But, you can’t sync your email when you use POP. The other option is to use IMAP, but unfortunately not supported by Hotmail. 1. 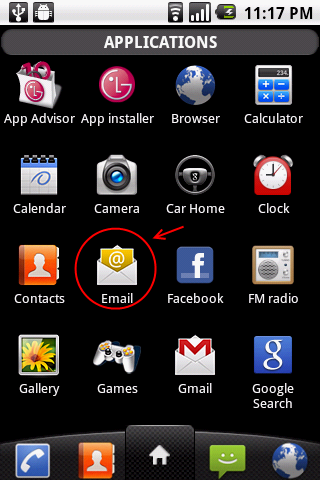 Open the App drawer and select Email. 2. If you have an existing email account, you see the screen below. If you don’t have an account, skip to step 4. Click on the Menu button on the phone to bring up the menu. Then select Account. 3. In the Account screen, click on the Menu button again and select Add Account. 4. You’ll see this screen if this is the first email account that you are adding. 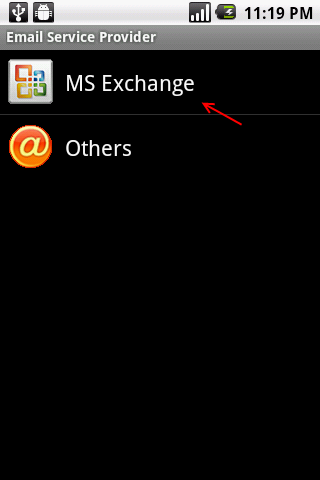 Select MS Exchange. 5. Fill in your Hotmail address and also the password. Then select Next. Check the “Send email from this account by default” if you want to send email using this email address. 6. 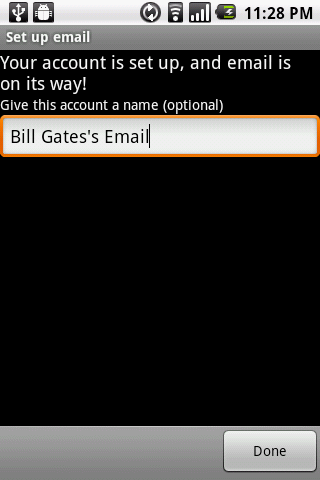 In the next screen, fill in your Hotmail address in the domain\username field. Key in the password, and add the Hotmail server. The server is m.hotmail.com. Check the “Use Secure Connection (SSL)” option. Then select Next. 7. The system will try to connect to the email server. 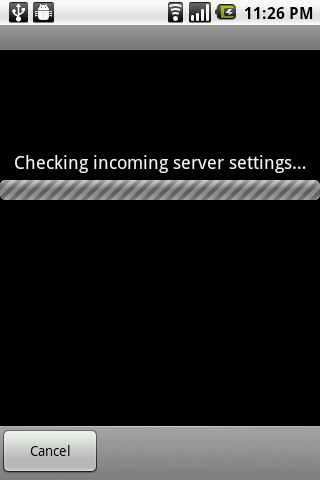 This will take a while. 8. Select the options that you want. 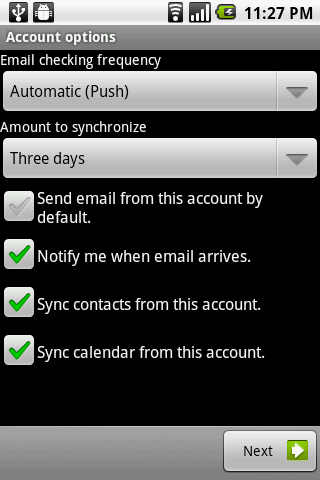 The “Amount to synchronize” option is for you to select the amount of emails to synchronize. “Three days” option means it will only download the emails from last 3 days. 9. Give the new account a name, and you are done! 2. I’m using LG Optimus One (P500) and the screen might differ from yours. This entry was posted in Guide and tagged android, email, exchange, hotmail, imap, pop3, setup. Bookmark the permalink. Thanks, I never would have figured this out! I followed the instruction here to add the hotmail as my second email account and it went through smoothly. Where I can have access to the hotmail account then? When I click the email widget I only see my existing corporate account (which I set as default email account). Just open the e-mail app. Follow step 1 to 3 and select the newly added Hotmail account. My email is working, but I don’t know where I can change the name (aka “Your name” setting) that appears to others when they receive email from you. In a POP3 account type you can set “Your name” but in a Exchange account type you can’t. How can I set “Your name”? The Exchange set up works but I only seem to be able to get Plain Text emails. 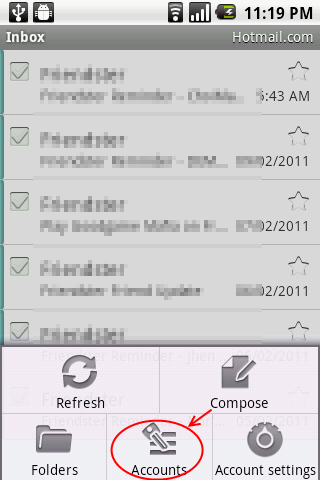 Using a HTC Mail app on Android 4.0.3. Option for Message Format in Receive Settings has plain text and is greyed out. Is there a way to get full HTML emails through this Hotmail Exchange method? Thanks so much! I really appreciate the detailed instructions and pics! You have saved me tons of time and frustration ! ! ! For those having issues with “authentication failed” you MUST enable POP on your Hotmail account from your PC BEFORE installing on your phone. By default Microsoft sets it as Disable. Login to your Hotmail from your PC and go into Settings – then sellect Connect devices and apps with POP – and Enable it.